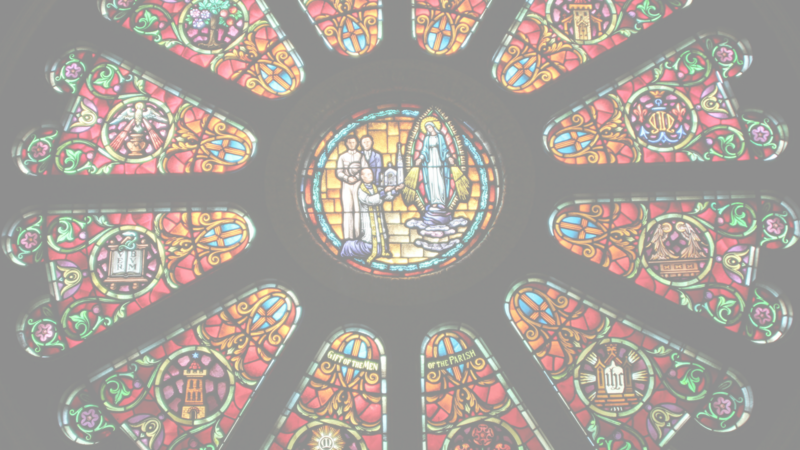 Here at St. Mary’s we have many opportunities for our Parishioners to share their talents and dedicate time to a ministry that will help deepen their faith. The Respect Life Ministry of St. Mary's parish seeks to inspire a community that celebrates life by fostering respect for the dignity of the person as a unique and unrepeatable child of God. Rooted in the love of Christ, we seek to serve those in the parish and wider community by affirming the value of all life from conception until natural death. This is accomplished through opportunities for prayer, service, education and advocacy on life issues. On the fourth Saturday of each month, the Prayer Group meets in the Chapel. Prayer begins at 9:00am and concludes at 10:30am. The Women of St. Mary's Faith Group give devotion to our Blessed Mother Mary, as our role model. We inspire and support one another to deepen our faith. We affirm the spark of God's love and exuberantly live and acknowledge God as the center of our lives. The group usually meets on the first Monday of each month from 7:00pm to 8:00pm in the Parish Center Conference Room. Many events and activities are planned around this time frame; however, times and locations may vary due to the activity. Men 18 and up are invited to meet every Wednesday evening at 8:30pm in the Parish Center Conference Room. COme and enjoy the fellowship of other men as we strengthen our faith together. We share the Gospel and encourage each other in the Faith. Come on your own or bring a friend. Scripture Study meets most Monday evenings in the Parish Center beginning at 7:00pm from the Monday after Labor Day through the Monday before Memorial Day. Currently we are using the Little Rock Scripture Study series. Commentaries and Study Guides are provided by the parish. Participants should bring their own Bibles. Each month, a family of the parish prays the rosary for an increase of vocations to the priesthood and consecrated life for the future of our Diocese and the Church. The Pilgrim Cross is presented at the Sunday Mass each first Sunday of the Month.